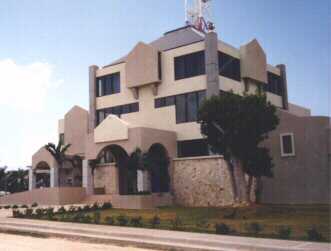 Anguilla uses US dollars everywhere, but EC dollars are the official currency. Prices are quoted in either currency, so ask if you are unsure. Credit cards are accepted at most hotels, car rental agencies, gift shops and gourmet restaurants, but not at beach bars, supermarkets, local shops. As of January 2002, the ATM machine at the Scotiabank is still connected to the outside world and allows you to get cash from your home account. There is also an ATM at the NBA that may allow you to make a cash withdrawal against your VISA card. My wife and I are traveling to your island in September, and our travel agent mentioned that there was a service charge on the exchange of money and the redemption of travelers cheques. Could you tell us if this is, indeed, true, and if so, what the percentage rate of the charge would be? A US$ cheque that is drawn on a US bank can be deposited into an Anguillian bank, but it takes a long time to clear. At the Carribean Commercial Bank, for example, it takes one month to clear if the amount is less than $1000, two weeks if greater. You can wire transfer from anywhere in the world to Anguilla in a day or two and have it credited immediately. Personal banking reference from a recognized banking institution. Minimum deposit for savings account - $25 in the currency of the account. Minimum deposit for checking account - $100 in the currency of the account. For more information, contact the banks directly. These are not US banks - deposits are primarily protected by the assets of the bank, not by the FDIC.